As Creative Director, my job is to find the best way to deliver effective messages to specific audiences within budget and deadline restrictions. I advise clients about the best way to achieve their objectives and deliver a return on investment. Stephen Hullfish learned a critical skill in delivering projects for clients before he ever entered High School. As a junior high school student he bicycled across the United States with his family in 1997. He learned that success in the face of a difficult objective starts with moving forward one step at a time and being persistent. His expertise is internationally respected as a producer and editor and he has written five books that are on the shelves of virtually every post production professional in Hollywood. He has edited three feature films, including "Courageous" ($35M Domestic Box office) and "War Room" ($67M Domestic Box Office). He edited "The Oprah Winfrey Show" for nearly a decade and for Bill Kurtis Productions. He also edited projects for PBS including "American Masters' Joffrey: Mavericks of American Dance." For VeggieTales, he produced trailers, DVDs, DVD bonus features, radio promotions and TV specials including creating complete products. He has been consulted on technical and creative issues by many of the top companies in the industry including Avid, Fujifilm, Tektronix and Adobe. Stephen Hullfish is a feature film editor, a noted book author, and producer. National professional recognition for his productions started when he was still in college. 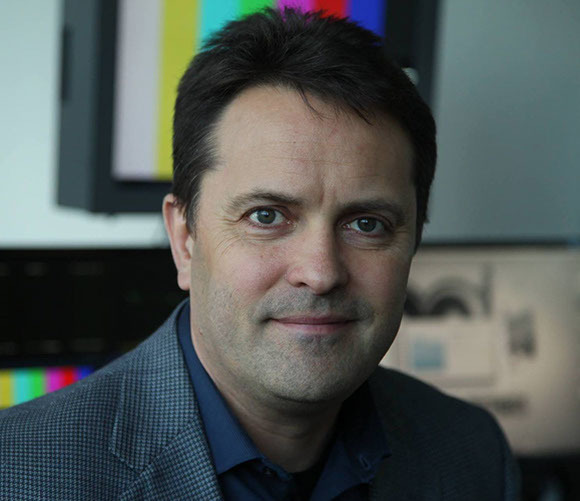 He's worked for some of the most influential media companies in the world, including editing "The Oprah Winfrey Show" for a decade and cutting numerous projects for Bill Kurtis Productions. Since forming Verascope Pictures in 2004, a string of the top companies have sought him out to tell their stories and deliver messages to their most important audiences. Alex Kendrick / Director, "War Room"
Joe Walker / Oscar Nominee "12 Years a Slave"